So! The Aromaleigh Primavera boxes that Freddie (@Tattle_Crime, reporter extraordinaire, hair game too strong) and I consulted on should have all arrived now, and the very limited-quantity extras are available. (GO GO GO!). So I wanted to walk through the themes and the visual inspirations and all of that, because honestly, matching the colors to the pictures has always been my favorite part. First things first: the seasons 1-2 collection, the thirty "This Is My Design" colors, continue to be available. (I highly recommend Chrysalis, as it is both sparkly and easy to wear.) This year, though, Kristen's wanted to get into smaller batch collections, so she decided to do pre-orders for two boxed sets, one for the Florence half of season 2 and onse for the Red Dragon half. 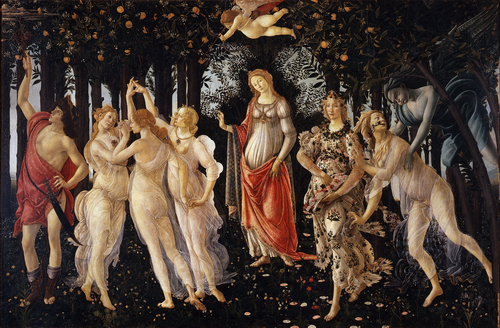 Thus, Kristen wanted to pull the themes for the first box from a painting that ended up being a major plot point in the first half: Botticelli's La Primavera. "Like a Botticelli," Will realizes, looking at the crime scene photos. 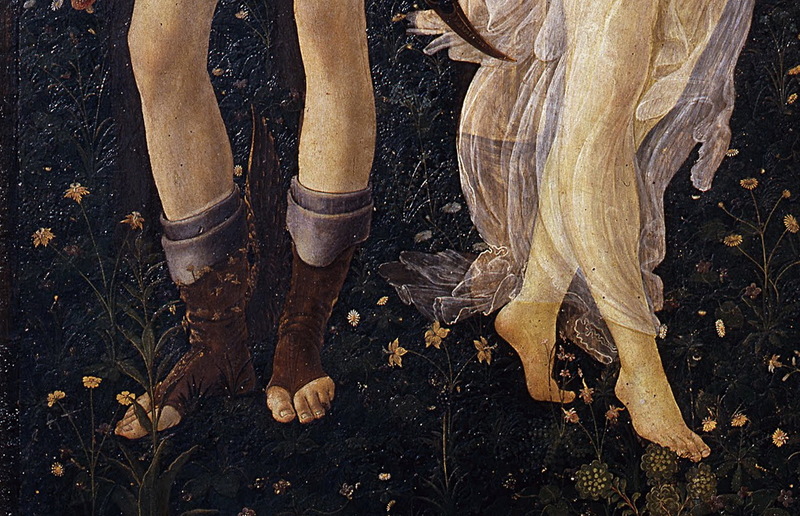 "Exactly like a Botticelli," says Pazzi. "His painting Primavera still hangs in the Uffizi Gallery in Florence, just as it did twenty years ago. The garlanded nymph on the right, the flowers streaming from her mouth... Match. Match." Fast forward twenty years, and we find Hannibal back in Florence, reigning in his supreme facade over the city and it’s academia with the fortitude and influence of a Medici. 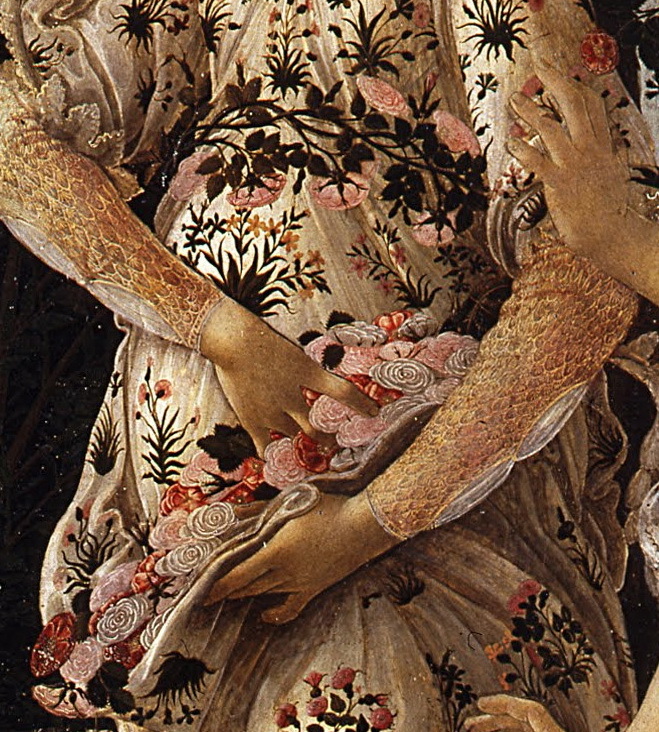 It seems only fitting that Primavera was painted by Botticelli for the Medici family. 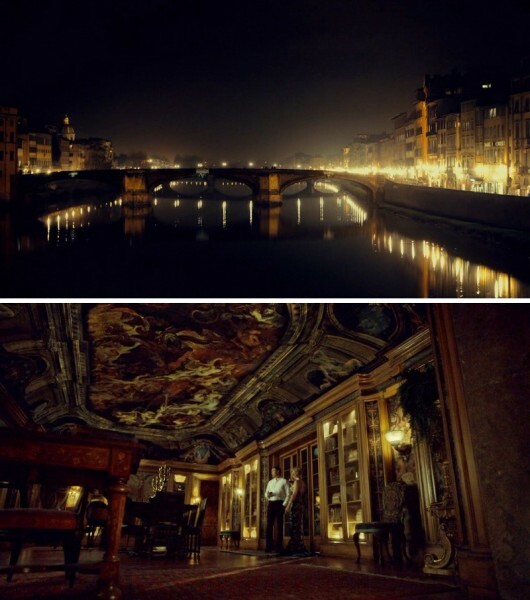 The Medici were powerful and wealthy patrons of the arts and all things aesthetically pleasing and upscale. Like a modern-day Lorenzo de’ Medici, Hannibal gracefully wraps himself into any role necessary to protect his ruse and feast on the bonfire of modern-day vanities and rudeness. 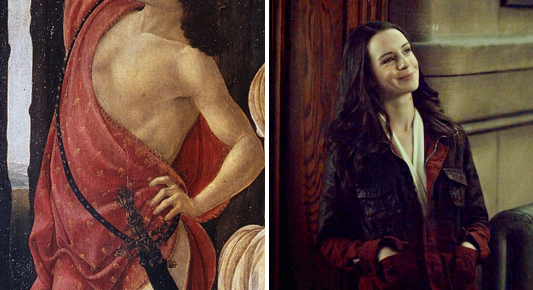 Much like the central themes depicted amongst the mythological characters of Primavera, Hannibal is a dichotomy. Where does the spirit end, and the material begin? Does he possess humanity? Loyalty? Charity? Over at Wikipedia, we find that La Primavera "is a tale from the fifth book of Ovid's Fasti" in which the first wind of Spring, Zephyr, abducts the wood nymph Chloris, who is then "transformed into Flora, goddess of flowers," the figure beside her (as one interpretation goes) in the painting. The figure in the middle is Venus, who "presides over the garden - an orange grove (a Medici symbol). [...] The Graces accompanying her (and targeted by Cupid) bear jewels in the colors of the Medici family, while Mercury's caduceus keeps the garden safe from threatening clouds." The figure on the far left by the Graces may be Mercury or Mars, according to various interpretations. Furthermore, "in addition to its overt meaning, the painting has been interpreted as an illustration of the ideal of Neoplatonic love popularized among the Medicis and their followers by Marsilio Ficino. The Neoplatonic philosophers saw Venus as ruling over both earthly and divine love and argued that she was the classical equivalent of the Virgin Mary," which may help connect the Christian imagery in the Norman Chapel with the show's simultaneous emphasis on the painting. There's also symbolism representing the renunciation of carnal desire (Zephyrus on the far right), as the central Grace has turned her back on that side of the painting, "unconcerned by the threat represented to her by Cupid. Her focus is on Mercury, who himself gazes beyond the canvas at what Deimling asserts hung as the companion piece to Primavera: Pallas and the Centaur, in which 'love oriented towards knowledge' (embodied by Pallas Athena) proves triumphant over lust (symbolized by the centaur). It is, on the other hand, possible that, rather than her having renounced carnal love, the intense emotional expression with which she gazes at Mercury is one of dawning love, proleptic of the receipt of Cupid's arrow which appears to be aimed particularly at her; which emotion is being recognised, with an expression at once sympathetic, quizzical and apprehensive, by the sister immediately to her left." 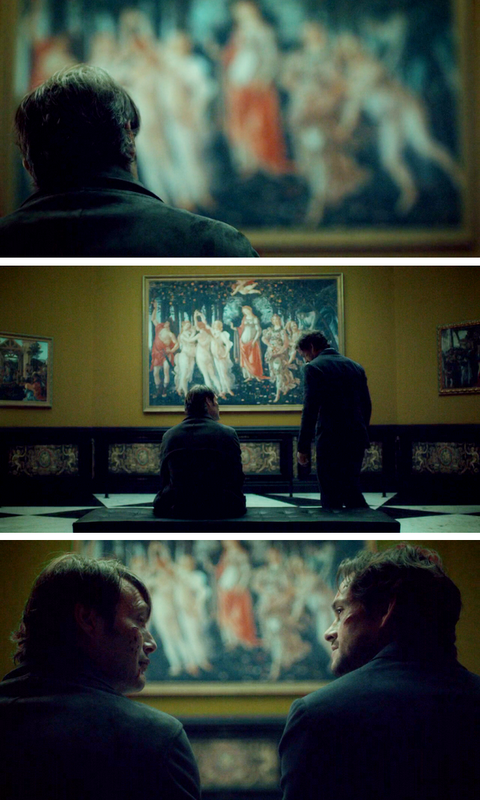 I don't know how closely the show intended us to read into this choice of painting--it originates from an extremely minor plot point for a totally different character in the book Hannibal--but it may be significant that Hannibal and Bedelia, on the lam in Europe, are posing as a married couple. 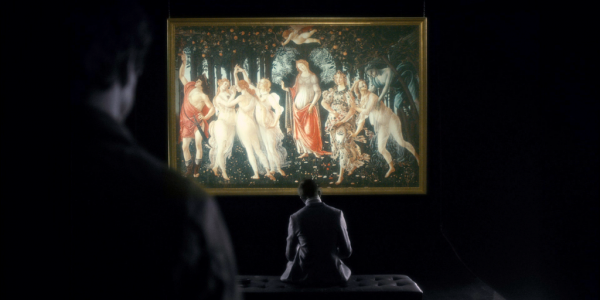 In "Contorno" we find out for sure that there's a carnal aspect there, but Hannibal never, ever shuts up about Will, who seems to occupy a place in his mind and heart that Bedelia, no matter how hard she tries, cannot. 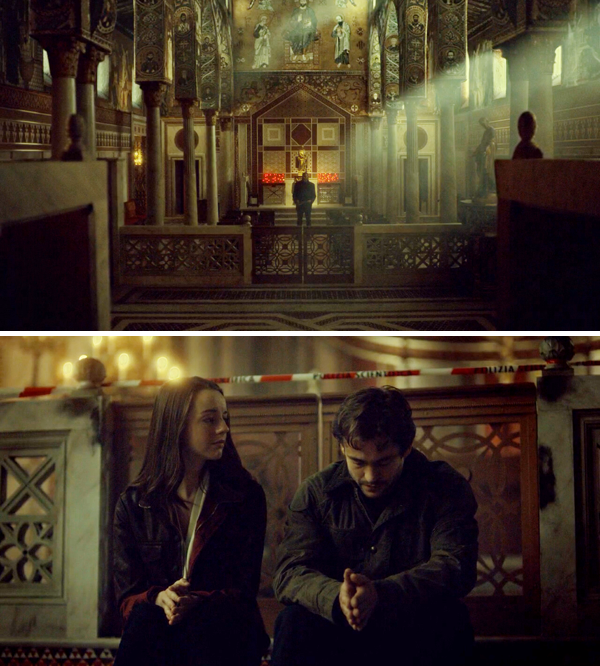 I mean, spoilers, but this is a season that ends up with Will, apparently the most oblivious empath on earth, asking her, "Is Hannibal... in love with me?" (And we all screamed "OH MY GOD, WILL" at our TVs.) 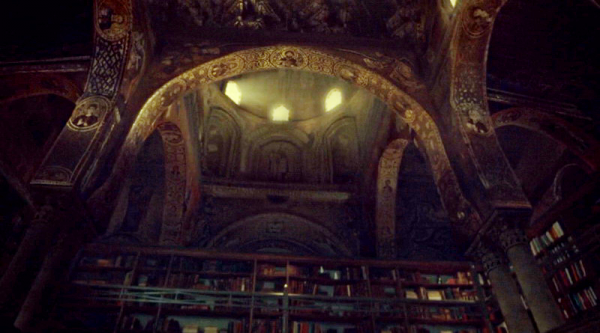 So the themes of the box set are an exploration of both Renaissance values and Hannibal's own psyche. So, while Freddie's naturally most interested in Red Dragon (we were both sounding boards the whole way through), I was all up in the Florence theme. I just really enjoy that section of the book/movie, and "Antipasto" was one of my all-time favorite episodes. 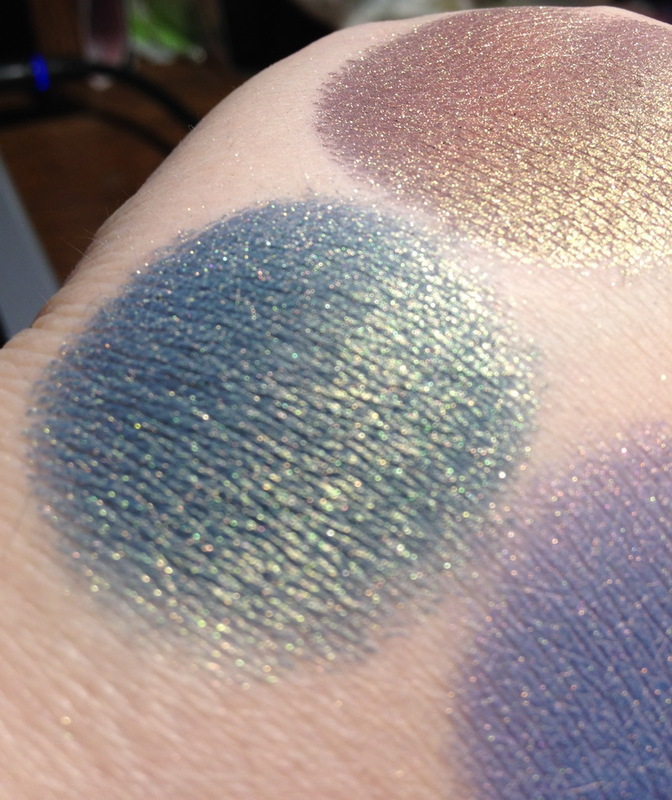 Because I'm so predictable--I love duochromes and iridescence--I always start with the same suggestion, which is "Can we look at the play of light?" (Even when Kristen was doing Blade Runner, I requested the light of Rachael's cigarette behind her hand.) 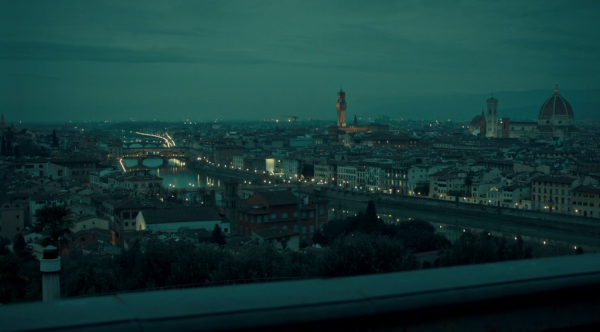 So I was immediately interested in the city lights from the Florence shots. 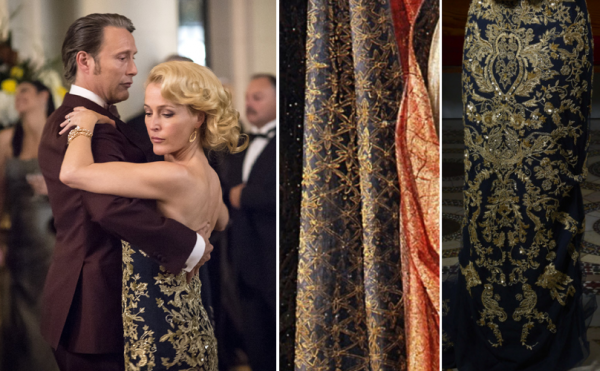 As I recall, Kristen actually started off with Bedelia's $11,000 Marchesa gown, omg, as the first concept to play with--a deep blue base with gold "embroidery." And then, once she'd started formulating it, she realized that it looked like fireflies twinkling in the night. 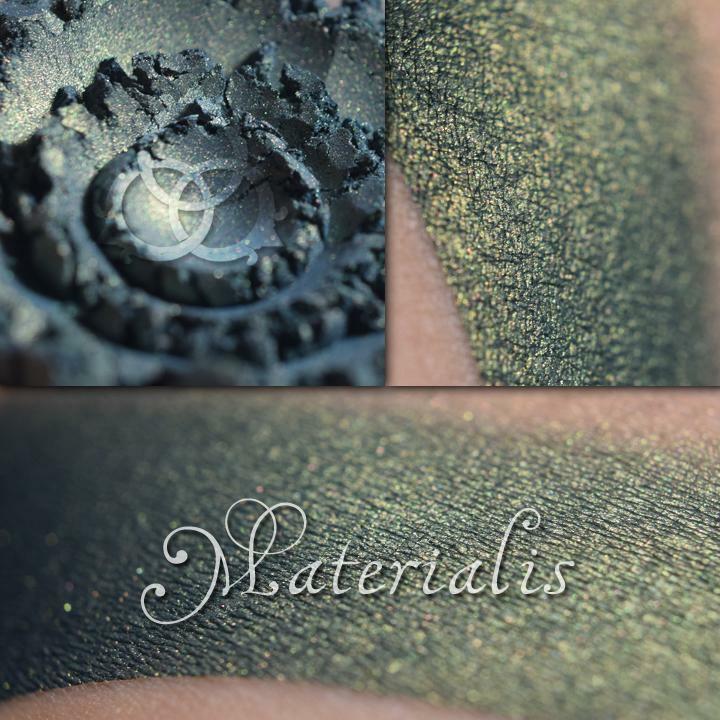 MATERIALIS: "material, worldly" - A deep forest green-blue with strong coppery golden interference shift. She'd been talking about a number of Renaissance humanist themes, and so this one ended up being Materialis: materialism and the material world. 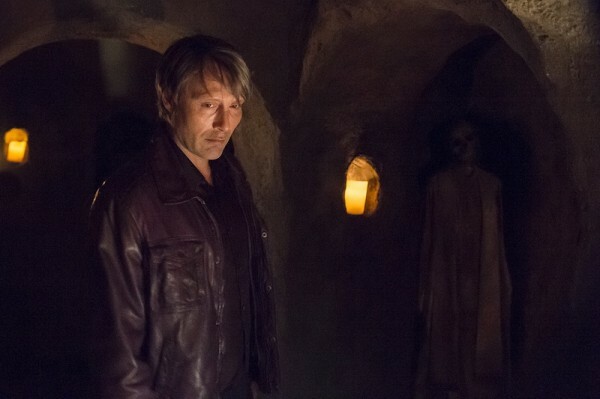 Bedelia struggles against their wealthy facade as "Dr. and Mrs. Fell" to make a deeper connection with Hannibal, but of course, his thoughts always go back to Will. While fireflies have a partially spiritual meaning in "Secondo" (regarding Mischa and the cochlear garden), their primary symbolism is as a predator consuming snails, which in turn seem to represent Murder Urges themselves (see Chiyoh's last scene with the prisoner). 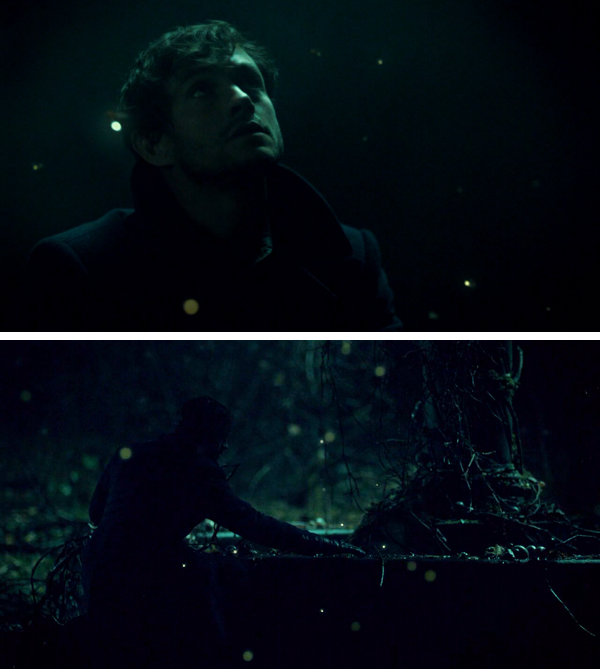 There is a sense of literal, material consumption within that symbolism, which comes to a... head (I'm so sorry) with a firefly-inspired design they ended up not using at the end of "Dolce": if Hannibal can't have Will's mind, he'll take his brain. 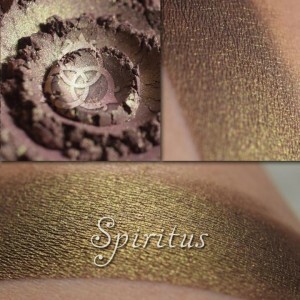 SPIRITUS: "soul, spirit" - Deep chestnut with strong golden interference shift. On to the third one! HUMANITAS: "humanity, benevolence" - Midtone periwinkle/lilac with a strong coppery rose interference shift. The color also pulls from Zephyrus abducting Chloris, an image the show returns to several times: a murder tableau reenactment and multiple sketch variations. And I can't believe it took me until I was drafting the "Contorno" recap to realize it, but Hannibal's fixated on that one detail because of his sister's death. Now, while I cling to "Nothing happened to me. 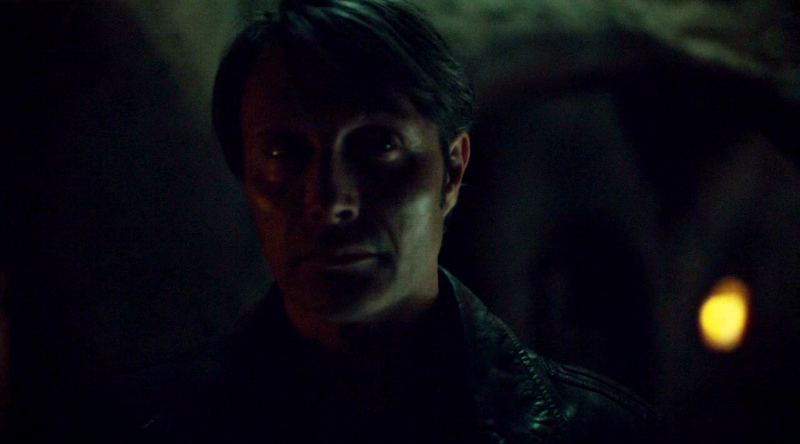 I happened," I do wonder how much humanity Hannibal had before Mischa's death, and how the experience changed that. 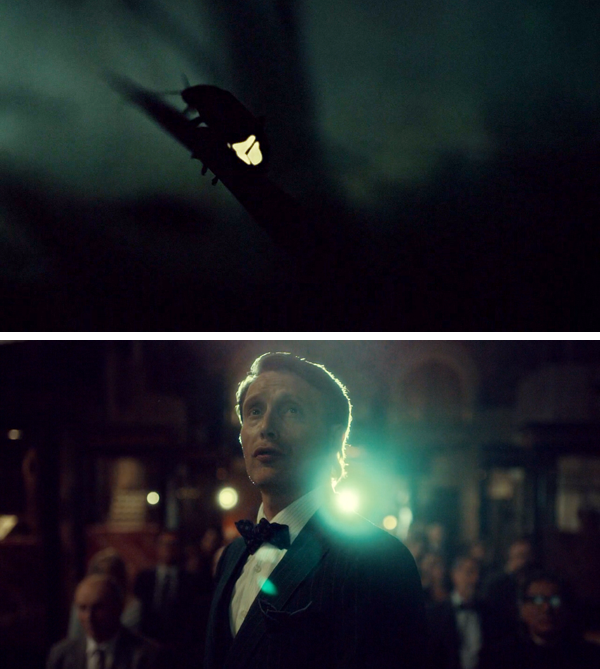 1x07: Bedelia to Hannibal: "Maybe it's less of a person suit and more of a human veil." 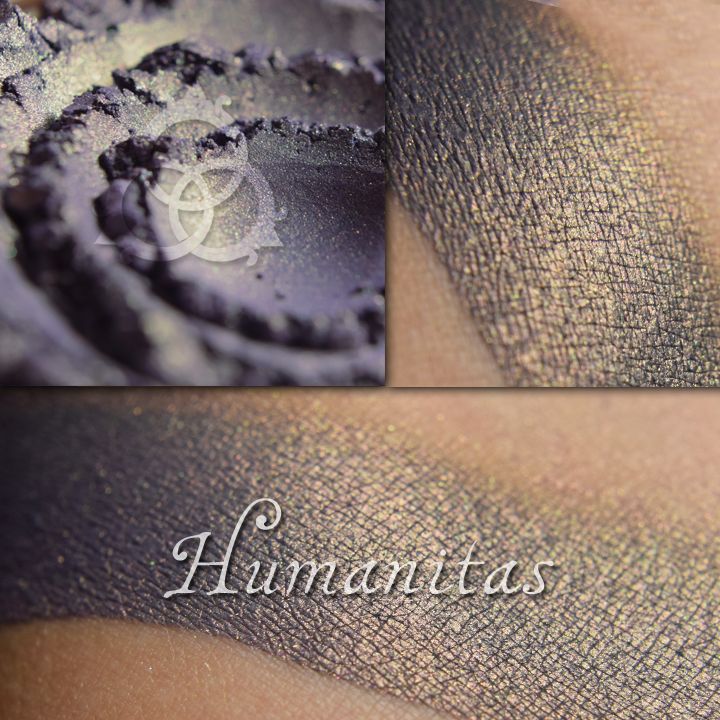 If Humanitas were an all-over/highlight color, a mineral "veil," that would be an interesting quote to pin it to. [This was my original suggestion--the highlighter ended up being Fidelitas, below.] I think we had a complementary idea with Chrysalis as Will looking through that veil. It might also be an interesting place to bring in the "flesh, light and air and color" line to differentiate them, maybe use very subtle but livelier colors from the painting rather than the somewhat eerie tones from the chrysalis scene. 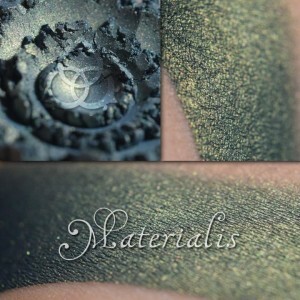 In other words, if Chrysalis is Will's veil, what is Hannibal's? The "humanitas" he puts on like a suit. A fancy, fancy suit. 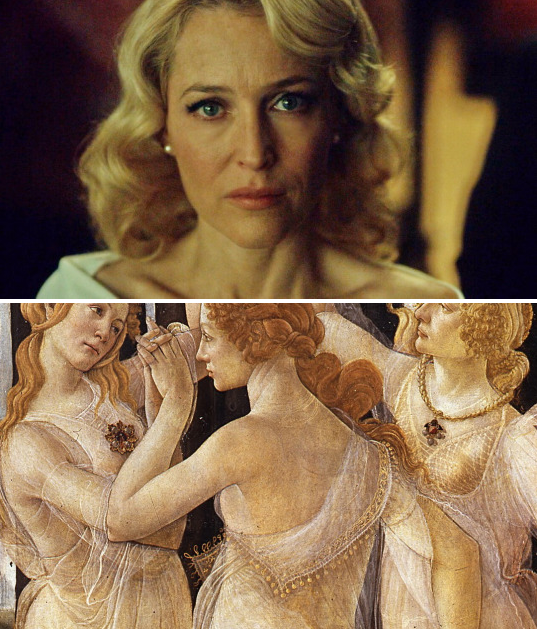 As the description on the Uffizi Gallery site itself says, "What is certain is the humanistic meaning of the work: Venus is the goodwill (the Humanitas), as she distinguishes the material (right) from the spiritual values ​​(left). The Humanitas promotes the ideal of a positive man, confident in his abilities, and sensitive to the needs of others." 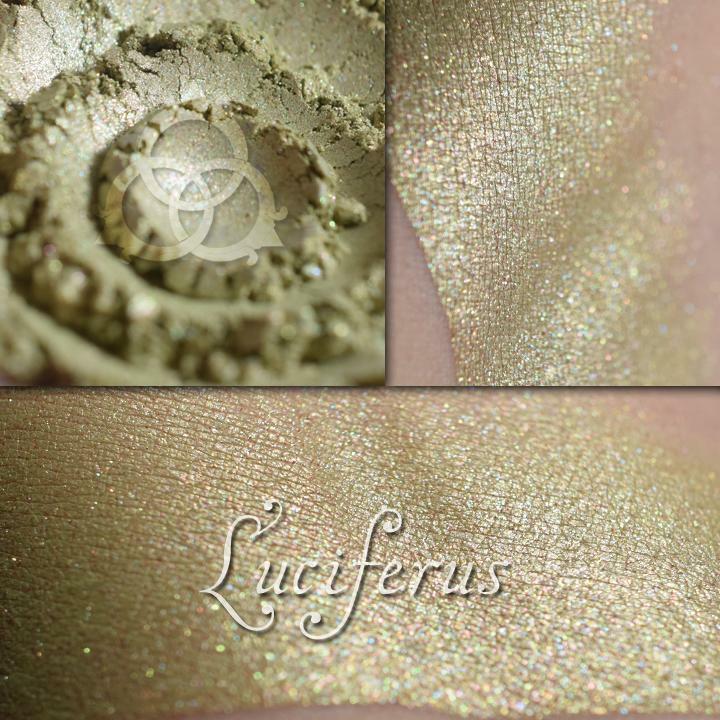 LUCIFERUS: "light" - Ethereal and sheer, borealis sparkling pale chartreuse. 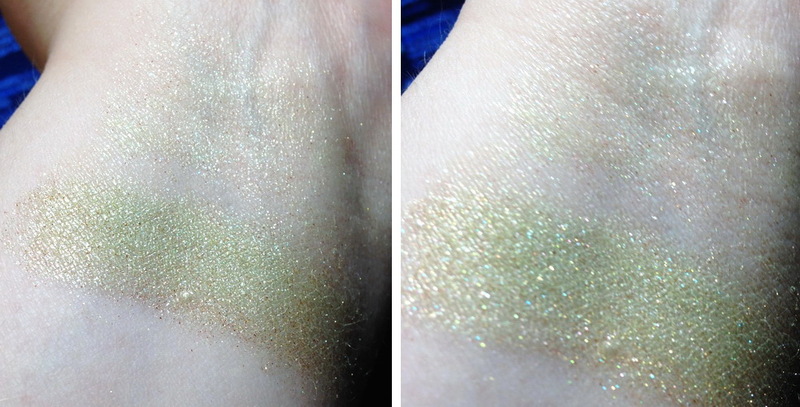 I wore it last night (dry, no primer), and the redness of my complexion canceled out most of the yellow-green, leaving a very smooth, evened-out yellowish-cream with a subtle gold sheen (and a ton of sparkle). So the effect will vary with your complexion, whether you use primer, and how heavily you apply it. This is what I tried Spiritus on top of a few hours later; it worked pretty well as a sheer brow highlight. 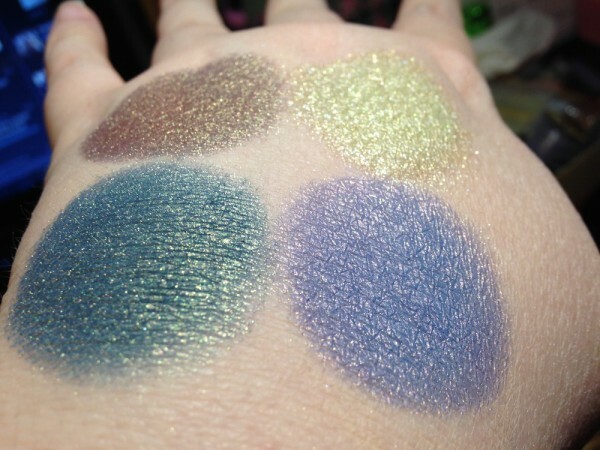 All together then: here's the four eyeshadows swatched over primer on the back of my hand. So here's Floridus, "flowering," pulling from the red fabric on the far left and the flowers held by Flora, and Fidelitas, "fidelity," pulling from the same flowers and the pale blue sky, plus a bit of the sheer drapery. 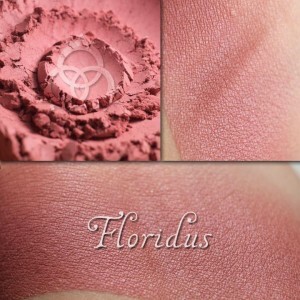 FLORIDUS: "blooming, beautiful" - The perfect neutral red with mauve undertones. 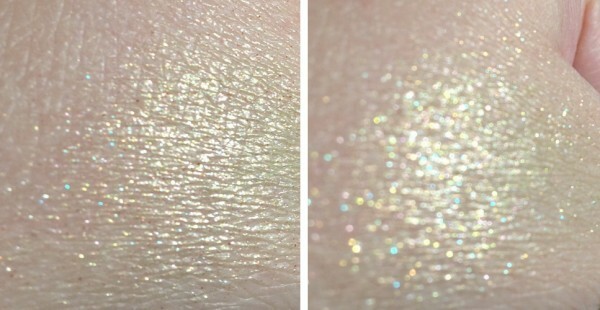 Perfectly wearable, with soft lustre. 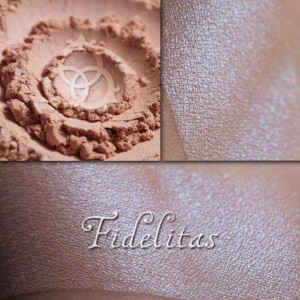 CARITAS: A softly cool-neutral wearable berry, one coat is a perfect natural tint. May lean warmer or cooler depending on your skin tone. 2) the virtue of charity: "The love that is caritas is distinguished by its origin, being divinely infused into the soul, and by its residing in the will rather than emotions, regardless of what emotions it stirs up. According to Aquinas, charity is an absolute requirement for happiness, which he holds as man's last goal." 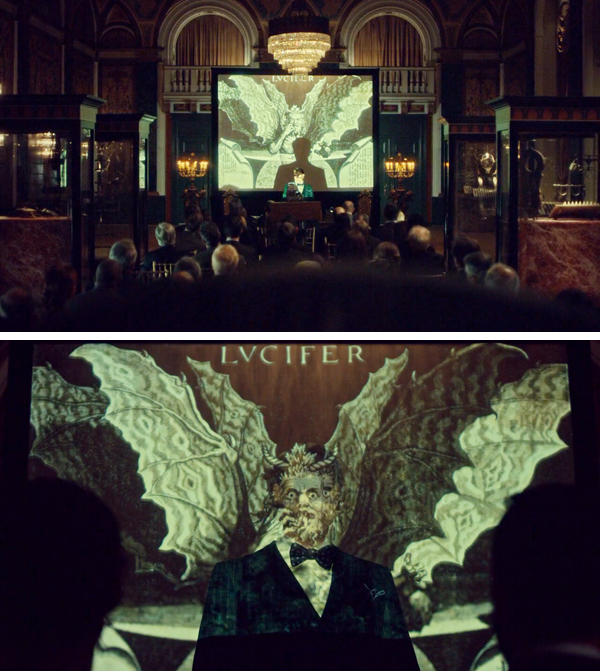 Furthermore, "charity has two parts: love of God and love of man," but given how Hannibal seems to view himself as God (and Jesus) (and Judas) (and Satan) (look, he's a very complicated cannibal), the idea takes on something of a twist. What is it he says in the finale--"My compassion for you has become very inconvenient"? You could argue that part of the psychological struggle going on is Hannibal's self-regard yielding to his regard for Will (and go back to "Mizumono" for how bitterly he regretted that at the time). 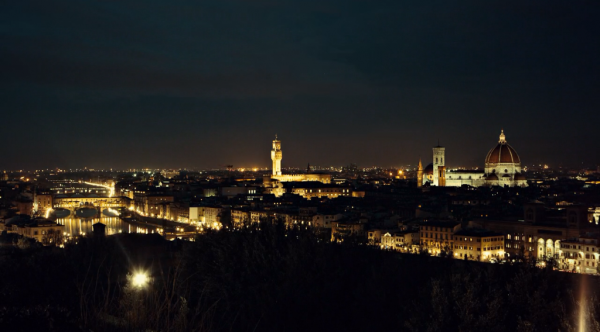 By the end of the Florence half-season, Hannibal has turned himself in rather than accept Will's rejection--a strange combination of selfishness and sacrifice. RENATUS: "rebirth" - For this concept fragrance, we wanted to evoke the olfactory atmosphere one might experience while standing within the painting come to life. Top notes: Green wood, muscadine, sweet orange, crushed flower stems. Heart: Orange blossom, lily of the valley, dandelion, sweetgrass. Base: White truffles, mahogany, fallen woods. I'm not sure if there will be extras available; it's possible more might be made if there's interest, I'm hearing. And so that's the Primavera box set; we're currently working on the Red Dragon box set (you may remember the samples of 666 that I gave out at Dragon Con), which ought to mail out in a couple of weeks. Pre-orders are sold out, but extras will be made available as well, so keep an eye out for that post as well. >>>either a massive betrayal or an eternal commitment. Probably both. 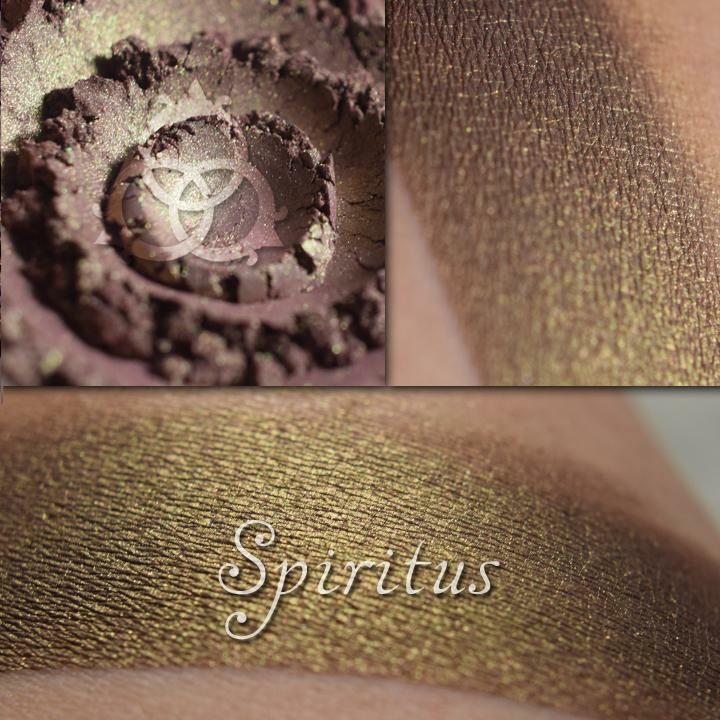 Oh my goodness, I can't stop looking at Spiritus. Out of curiosity, do you plan to recap the rest of Season 2 once you've finished Season 3? I do! In fact I think I mentioned at one point that it'll be extra... something... that the last recap would then be Mizumono, given the way the show keeps circling back to poke at that. I have most of Contorno done; I just ended up running off to livetweet the new Twilight book (!) for two weeks (!! ), but THANK GOD I finished that last night. Awesome! I'm one of the people who came for the recaps but was too chicken to actually watch the show, so I'm delighted you'll be recapping everything. Heyo, I cannot remember if I made this comment so I am sorry if this is a repeat and its posted somewhere else- I have followed your blog for around three years now, and honestly love your hannibal recaps. Are you going to continue doing them for this year? Because oh my god I need to see your commentary on Crawford fight/ EPISODE 7/ final scene. I think the last time Cleo responded to a question like this, she said that there's nothing that's gonna make her give up The Project just yet, but there are many RL things including her personal health that might pose as setbacks to her schedule. I think she also said that she's probably going to finish Season 3 first, and then go back to Season 2 to finish Episodes 6~13 so that everything could culminate with "Mizumono" (the events of which keeps getting called back in Season 3).